Ben and Sam met in 2013 whilst working at The Herring Restaurant, Bedruthan Hotel and quickly discovered their shared values and ethos towards the food & drink and hospitality industries. Within less than a year of working together they had won Restaurant of The Year at the Cornwall Tourism Awards and were awarded Silver at the South West Tourism Awards. 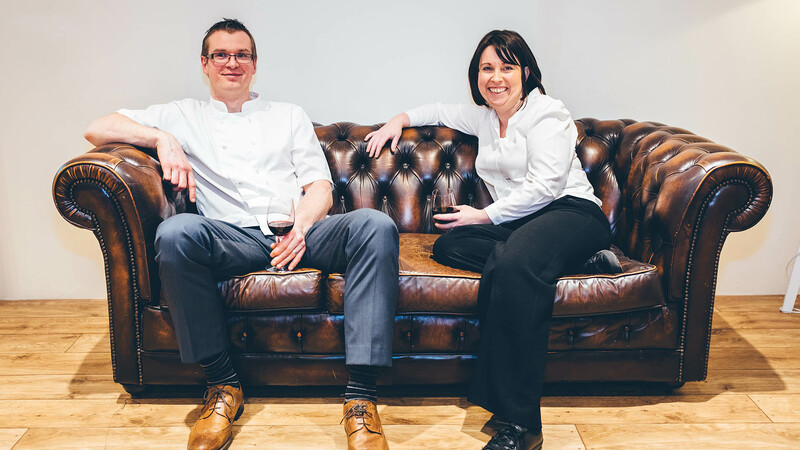 Over a couple of years of trying to find “the right job” including a brief relocation to Gloucestershire they are now well and truly settled in their “perfect job” as owners of their own restaurant, Penrose Kitchen. Having started at The Savoy, London, straight out of catering college before moving onto Le Gavroche, Ben has exceptionally high disciplines in the kitchen which show in every dish he prepares and serves. Ben has built and maintained good working relationships with local suppliers and producers throughout his career in Cornwall and is confident of where his ingredients come from and that they are of the highest quality. Having both had roles as restaurant managers Ben and Sam know how important it is to deliver great service at all times with the right blend of friendly and professional which they are keen to share with their team. With this in mind you are always guaranteed a warm welcome at Penrose Kitchen.